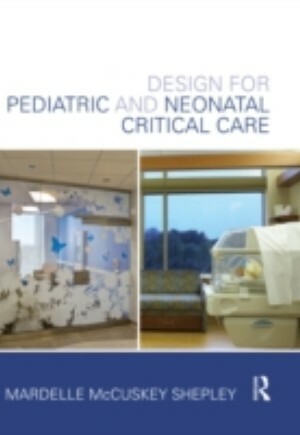 Design for Pediatric and Neonatal Critical Care provides an overview of the design and research issues associated with the development of environments for pediatric and neonatal intensive care. This is the first and only book dedicated to this topic and was created to support individuals interested in developing and studying critical care environments for children and their families. In addition to a detailed analysis of the literature from research and practice, the author provides a summary of the historical development of critical care for infants and children, and information regarding the role of PICUs and NICUs in the critical care system. A discussion of current codes and future trends is also provided. Design for Pediatric and Neonatal Critical Care includes essays from prominent voices in the field ranging from inspired young architects and researchers to world-renowned healthcare design and research icons. Illustrations of work that has been identified as exemplary or representative of recent directions are included, which will help those planning new or remodeled projects to identify and examine precedents. This book is intended to help designers and researchers enhance healing environments for young patients in critical care settings and provide information in support of the families and staff who provide care for these children and infants.